Article VI of the Constitution states, "This Constitution shall be the supreme law of the land." In effect, from Everson on, the Constitution has not been the supreme law of the land, the Court has. If the Constitution is not authoritative, freedom is lost. With July 4th coming right up perhaps the timing is advantageous in giving us renewed energy as we work to restore the rule of law in America by educating others about the Constitution, the Declaration of Independence and true American history. I hope so. Freedom itself hangs in the balance. America's churches have been misinformed and intimidated right out of the voting process. NOW is the time for a holy boldness to move through our churches and communities. Many churches and pastors feel called by scripture to “equip the saints” to represent Christ in all areas of our society, including the voting booth. Pastors should thus be supported in their goal of helping their members be good stewards in representing Christ in their civic duties. This is especially important in light of the fact that only one out of every four Christians in America is voting. Unfortunately, many churches and pastors have been given false information in an attempt to scare them from acting as a pastor and impacting their culture for Christ. The law is actually very supportive of pastors and churches in fulfilling their mission to equip their saints. Even as a non-profit corporation, there is very little a church may not do. Individually, a pastor can do whatever he feels led to do – endorse, support a member’s campaign, etc., as long as it’s not done with church resources. There are no limitations on the pastor individually. The few limitations above that exist are only for the Church entity and only if the Church is a non-profit corporation. Pastors should not be intimidated from acting as pastors, calling their people to vote and giving them information so they can best represent Christ in the voting booth. Option 2 – Did You Know? It's in our hands now to be a part of moving the Church back into the process of Liberty that is the solid foundation of our country. 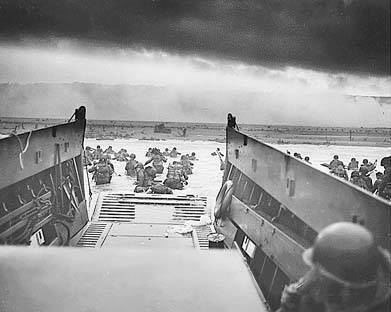 Every June 6 we remember D-Day and the terrible cost in blood and lives that freedom requires. And rightly so! 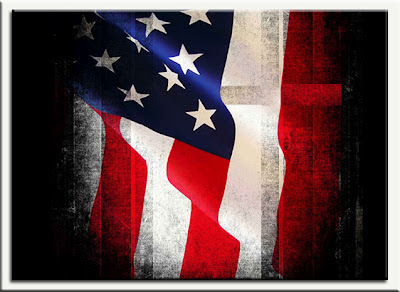 But beyond that cost, there is an ongoing price that must be paid if freedom is to survive; that of eternal vigilance. And truth is what we must be ever vigilant of. Last time I wrote that in order for freedom to be experienced people must be under a righteous and just authority and that the nearest humans have ever come to establishing such an authority is the United States Constitution. This time I want to show that this view is consistent with and rooted in Christianity. In John 8:32 Jesus utters one of His best known statements when He says, "Then you shall know the truth and the truth shall make you free." What is not so well known, yet is necessary to understanding what He meant, is the previous context-setting verse. It is what the "Then" in verse 32 is referring to. Verse 31 says, "To the Jews who had believed him, Jesus said, 'If you hold to my teaching, you are really my disciples. '” This speaks to being under authority. Jesus declares here that there is a direct correlation between being under authority and being free, and that there is another element that must be present in order for freedom to flourish; truth. You could say it in the form of a mathematical equation; obedience + truth = freedom. Late in this chapter we find Jesus' declaration that the devil is a liar. Having stated elsewhere, (John 12:31 & 16:11), that Satan is the ruler of this world, Jesus reminds us here that his kingdom is predicated on lies. Since truth is to lies as light is to darkness, obscuring the truth and/or preventing it from being told is paramount in the devils strategy. This speaks to why it is so vital that true American patriots be able to articulate true American history. As we look at our culture today we see so many ways that We The People have been taken in by lies. How else could it be that a nation founded on "self-evident truths...", among which are life, could have, 200 years into our existence, begun the practice of legalized abortion? Only a deceived, rebellious people could have allowed such a thing to happen. Jesus says here that in order for an authority to be just and righteous it must be truth-based. So much revisionist history and so many myths and lies are so prevalent in our culture today as to make setting things right a daunting task indeed. Such has always been the case in the battle for truth. But remember, truth is a powerful thing and always worth the telling. Clearly what is needed in America today is a new birth of freedom. I know not whether it is too late for that to happen. I do know that if it is going to happen, an insistence on and obedience to truth, will once again have to characterize We The People in America. You and I can play a role in bringing that about by obediently speaking the truth whenever and wherever we have the opportunity. May God empower and bless us as we do. Of the 60 million Christians in the U.S., only 30 million of them vote in any given election or are even registered to vote. Our research has shown that it only takes 5 million votes to decide an election. We believe that if Christian voters will make their voices heard on Election Day, we can bring about positive change in America. Our nation was founded on Biblical principles, but God has been expunged from our culture, and as a consequence, our nation is in an ethical and moral mess. Champion the Vote is part of a nationwide grassroots movement to bring God back to the center of American life. Our goal is the rebirth of a commitment to seek His truth and to live by His principles in our personal and public lives. The last day to register to vote in the 2012 elections is July 11, 2012. Champion the Vote, across the nation has done all the research and compiled all the contact information for Christians in the United States who are not registered to vote. When you go to http://www.championthevote.com/ they have organized several ways for each of us to get involved individually or by groups. You'll find a wealth of information on their website, but the most important resource they've put together for us is lists of unregistered Christians in your area to contact by phone, email or door to door. Whatever form of contact you're comfortable with is available. Please join us in this effort to activate Christian voters in your area. The lack of voter turn out in America is heartbreaking and we all know how much is at stake in our 2012 elections. The progressives are still a minority, it's vital to get our Christian neighbors to the polls as a part of the continuing steps toward restoring Liberty in America.